Unveiled at the Progressive International Motorcycle Show in Long Beach, California, the Vanderhall Edison2 brings electrifying acceleration and zero emissions to the three-wheeler market. At Long Beach, CA (November 17, 2017) — Vanderhall Motor Works debuted its latest three-wheeled auto-cycle model at the 2017 Progressive International Motor Cycle Show in Long Beach, California. 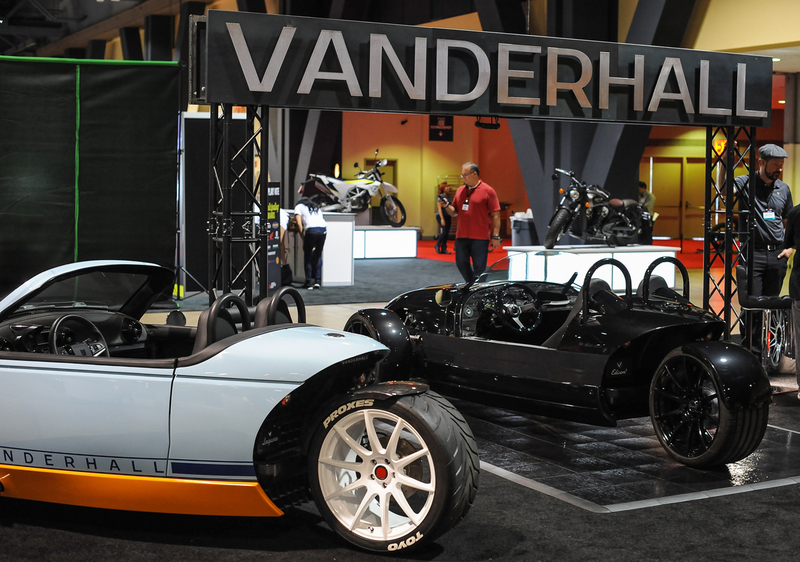 An electric vehicle (EV) known as the Vanderhall Edison2, it joins the company’s two existing auto-cycle models: the carbon-fiber-bodied Laguna and retro-oriented Venice.